Sharon Cameron has such an incredible gift in providing unique stories with characters you relate and root for. The Forgetting was no different than her previous books in this regard but the overall feel was much different- it had a more science fiction/dystopian feel to it. I loved the world building and the city of Canaan was so interesting. These people live off the land and confine themselves to a very strict set of rules put into place by the Counsel. Another thing that sets this city apart is that every 12 years something happens that wipes the memories away from everyone living there. I can’t fathom how it would feel to live knowing that my memory would inevitably be cleared away and all the people I know and love would be strangers to me. Each person in Canaan keeps a journal with all of their truths written down. These books help to keep the memories and events of a person’s life safe. This story idea was so original and really had me considering what it would be feel like. The main character, Nadia, was different than everyone else in that she can remember. She holds this as a secret but it has her questioning motives, reasons and how it all happens. I loved exploring the world and characters with Nadia and learning as she did. I felt that she was a really easy character to relate to even though her character rarely speaks. Nadia’s relationship with Gray was one of my favorite aspects of this book. I loved how their distrust of one another was handled and how through it all they ended up working toward a common goal. Cameron is always so great at creating deep relationships between her characters and the chemistry is always present. Nadia’s relationships to her family were beautifully executed as well. She has sisters and a mother who withholds affection from her- I couldn’t imagine how lonely Nadia had to be and how much responsibility and sadness came with her ability to remember the past. 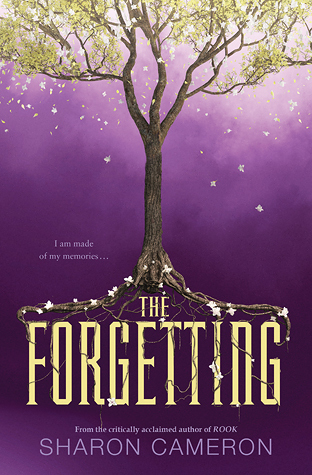 As with all of Sharon Cameron’s books, The Forgetting was incredibly well done and an emotional read. The characters were really well developed and I loved all the science fiction bits interwoven with such a strong story line. Happy New Year’s Eve!! I can’t believe 2015 is all finished up (almost) and a new year is upon us. I am brining in the new year with Victoria Scott author of the upcoming Titans. Although Astrid Sullivan is the main character in Titans, one would be wise to heed her best friend, Magnolia’s, fashion advice. Especially if you want to make the most of that countdown to 2016, and start off on the right Jimmy Choo (knock off). Never doubt the glam power of a BFF on your arm. She’ll tell you whether your NYE attire is on-point, or suffering from DBF (Death by Fashion). Don’t forget to accessorize. Especially those that belong on the crown of your head. Accessories, and ready-to-party hair for that matter, is tres importante. Make a fashionable entrance. Forget muscle cars or limos. You need something memorable. How about the back of a lion? 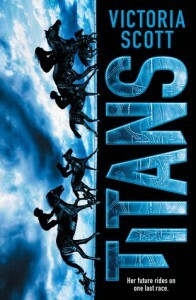 Or better yet, a Titan? Whatever you do, don’t worry about a boy on NYE. If that jerk bag doesn’t behave, then find a cute replacement and pucker up when that bell drops. Because new years are the best time for new crushes (or no crushes!). Remember, above all else, that looking glam on NYE is all about confidence. If you believe you’re bringing the thunder (which you are), they’ll believe it too. So work it, girl (or boy)! Happy NYE, dolls! May your lipstick be fierce, your best friend loyal, and your midnight kiss knee-buckling. See you in 2016! A copy of this book was sent to me in exchange for an honest review. 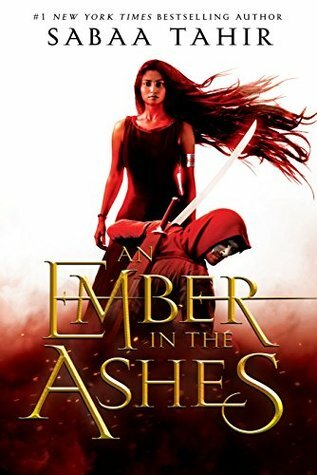 I loved Cameron’s debut duology and was certain that I’d love this book as well because I love her writing style so much. I was right! Rook was another wonderfully imagined story with a historical feel. You can tell that Cameron researches the time period she’s deriving inspiration from and utilizes her knowledge in really unique and wonderful ways. Rook was told in third person which doesn’t always work for me. I tend to lose a bit of my connection to the characters when told this way but after a slightly slower start I was immersed and really entranced with Sophia. She was head strong, brave yet she wasn’t perfect by any means. I really enjoy Cameron’s approach to her romances. They never overshadow the storyline and yet they are swoon-worthy. I shipped the couple in this book even though I was never certain of who I could trust 100%. All the characters seemed to have so much they were hiding from each other and it being told in third person really helped keep the mystery of everyone’s motivations. In high school The Scarlet Pimpernel was one of my favorite assigned reading so I loved that Cameron took bits of that story as inspiration and also tied it into this story. It was done beautifully and hopefully it’ll encourage folks that haven’t read Pimpernel to read it. 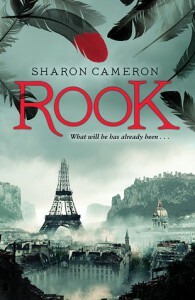 Another great element that came as a surprise for me was that Rook was set in an apocalyptic world. I didn’t know that going into this one (I rarely read summaries if I know I love the author already). Cameron really took a great approach to a world that has had to restructure and sees the past as a mystery and something to fear. So, the writing worked for me, and I loved the characters and their interactions. 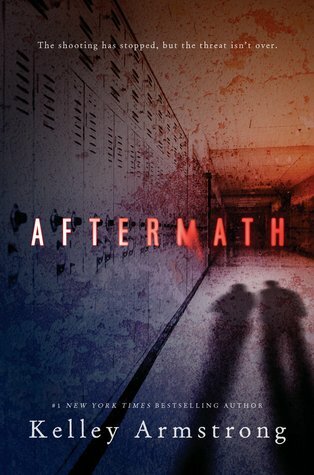 The storyline was gripping and I wasn’t able to predict the outcome so why only 4 stars? Well, my only issue was that the pacing felt off to me. The beginning and end were much slower to me than the middle section and though I was invested in the story the ending felt overly long. This could be a mood thing for me and I’d be interested to hear if you had that same issue if/ when you read it. Regardless, it is a book worth reading. 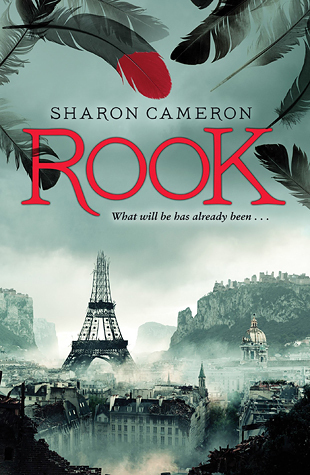 Rook was another strong novel from Sharon Cameron. I loved her original take on an apocalyptic world as well as her characters. Though the story was full of interesting mystery the ending did drag for me. See that lovely summary? I didn’t bother to read it before knowing I had to read this book. 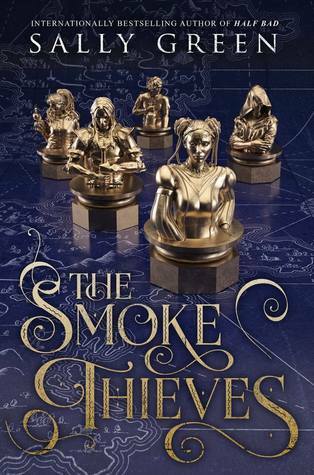 I saw the cover and the one line about the main character’s touch killing and was sold. I needed this book as soon as possible. I didn’t know what I expected but I had high expectations going into this book and I wasn’t let down at all. 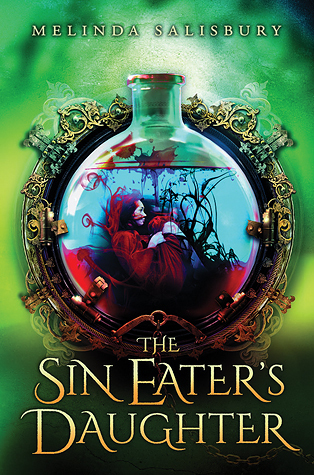 The Sin Eater’s Daughter actually exceeded my expectations and went so much darker than I dreamed it would. Salisbury created a kingdom in desperate need of hope and a main character that has been called by the Gods to bring the hope and salvation dreamed of for years. 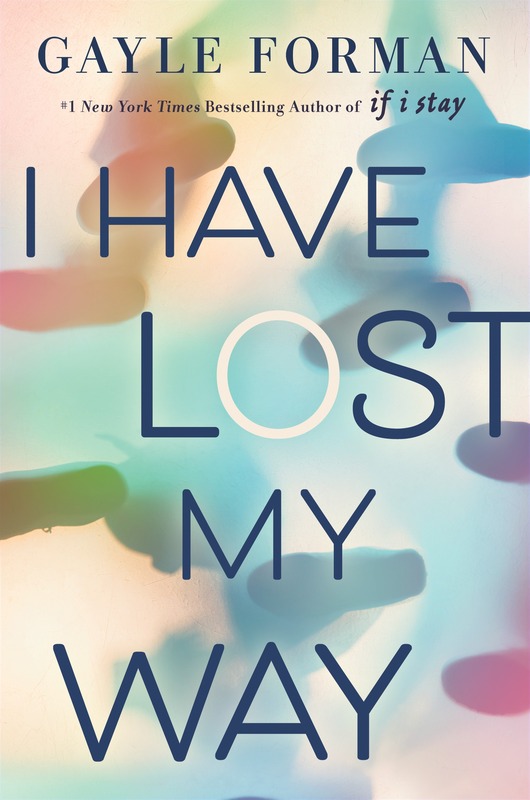 I loved the depth of despair Salisbury was able to put into her writing giving the book a melancholy feel. The pacing was extremely fast though there weren’t a lot of action scenes. 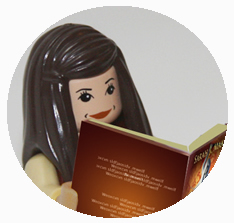 I was completely swept away in the castle politics and the main character, Twylla’s life. 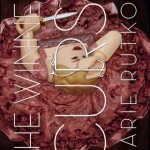 Though there are some gruesome scenes rife with cruelty the book was not overly morbid or depressing. I absolutely love the idea behind someone’s touch being death and her being an executioner against her will. This brought up so many questions about personal will, fate, divine authority, etc. I loved this aspect and felt it was handled beautifully. This book spoke to me on an emotional level and I felt that I just got it. Do you ever have that? You connect deeply with a book, characters and the writer’s style and it makes writing a review and expressing why so difficult. Anytime I go into a young adult book I fear that the romance will override the storyline and I wondered about this one. Was there a romance? Yes, but it felt essential to the story. I immediately connected with Twylla’s character though I have nothing in common with her Salisbury made her incredibly realistic and flawed. I really can’t go into too much detail because this book is best experienced. There are a lot of twists and turns though not a ton of action. It focuses on development and interactions as well as the world building. I want to mention one other aspect of this book and Salisbury’s writing- she takes from myths and weaves this incredible fairy tale for her world. It is complex and might cause confusion if you aren’t aware of the tales she’s referencing- Sleeping Beauty, The Pied Piper and Little Red Riding Hood. I was so enthralled I had to brush up on The Pied Piper since I couldn’t recall a lot of details about it. I think the inclusion of an original myth that took aspects from these was such a beautiful addition to the story and I’m desperate for Melinda to write out her fairy tale as a novella. I got this book- it touched me on an emotional level and I felt that Melinda Salisbury’s writing was fluid and beautifully done. I adored her complex and flawed characters as well as the world she’s created. This is easily a favorite of mine now. 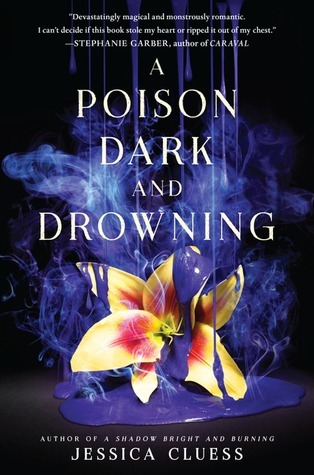 Murder, abductions, and forbidden romance abound in this thrilling sequel to Sara B. Larson’s acclaimed YA debut, DEFY. 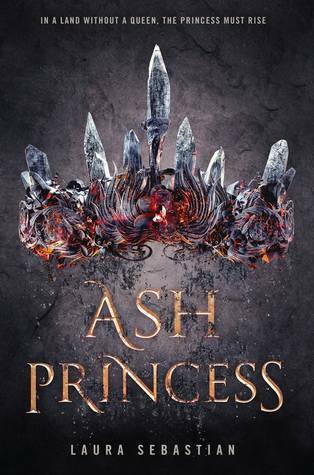 Alexa remains by the newly crowned King Damian’s side as his guard, ever committed to helping him rebuild Antion and reclaim the hope of Antion’s people, despite continuing to harbor a secret love for him. 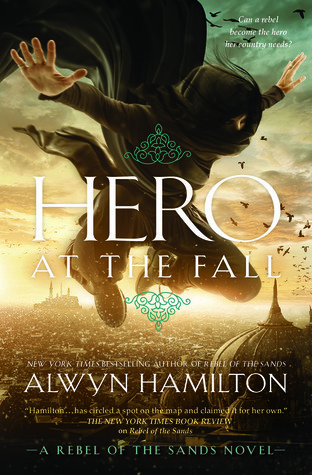 However, when another threat to Damian and his kingdom emerges, and blame is cast on their newly forged allies from Blevon, Alexa knows things are not what they seem. With the fate of her nation hanging in the balance once again, will Alexa be able to protect her king and uncover the true enemy — before it’s too late? I’m the black sheep with this based on the early reviews I’ve seen–I preferred Defy over this one by a large amount. 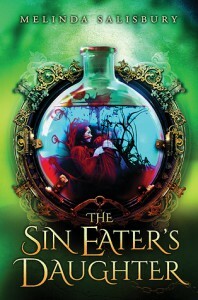 I enjoyed the first book though I could see some flaws (small things that you can see here in my review). I was pretty excited about this follow-up because I did enjoy the pacing and characters but in this installment something fell flat for me. Now, I’ve been dealing with some pretty heavy things in my personal life so that might have made my reading experience less than stellar. Who knows, had my emotional stability been a bit less shaky this might have hit me better. I had no problems recalling the story-line from Defy and the characters. Things picked up pretty soon after the events of the last book and once again the story was told from Alexa’s point of view. She was still struggling with her feelings for King Damian though she’d tried her best to convince him she had no romantic interest in him. The last book was pretty heavy on the love triangle bit but this one seemed to drop that from the story which was a welcome change. The writing felt a bit tell rather than show but it was fluid throughout the novel. Larson had an easy-to-read style that did succeed in being descriptive though I thought it lacked some emotional impact. 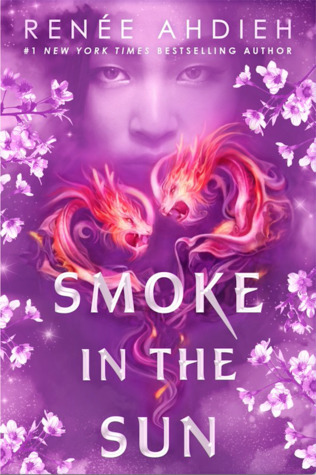 For some reason, though the plot was thicker and the action was still written descriptively, I had the inability to really connect again with these characters. I didn’t feel drawn towards Alexa and Damian though I had in the first novel. Their relationship felt flat to me and their scenes together did nothing on an emotional level. None of the characters seemed to experience any self-growth so that could be something that detracted from my enjoyment. As for the story-line it had some interesting points and some new characters that were delightfully easy to hate. I thought the stakes were high enough that I should have been tense while reading but sadly I was not. I felt an arm’s length away from the entire story. As the book drew to a close, things were wrapped up and the story was left without a cliff-hanger but with enough information to entice readers to read the next in the series. 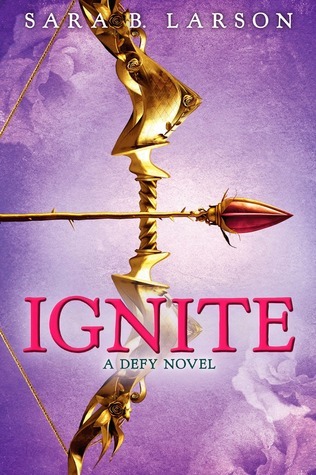 Though I enjoyed Defy a good amount Ignite fell flat emotionally for me. The story was descriptive and had some creative aspects but I felt that it lacked any emotional appeal or character growth.